In order to sign up as a foster, please fill out the online application below. Completing the online application is the first step in the foster process. 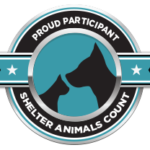 A foster coordinator will first contact your landlord and veterinarian (if applicable), then will contact you to learn more about the kind of home you are able to provide for an animal, the types of cats that you can help, and answer any questions you might have. If you rent, the following is REQUIRED to foster a cat. If yes, age of cats? If yes, age of dogs? Other types of pets? Please describe. If you have a veterinarian, the following is REQUIRED to foster a cat, and inclusion of this information indicates permission to contact your veterinarian.